@TMann nice Victorinox! Like the blue face. 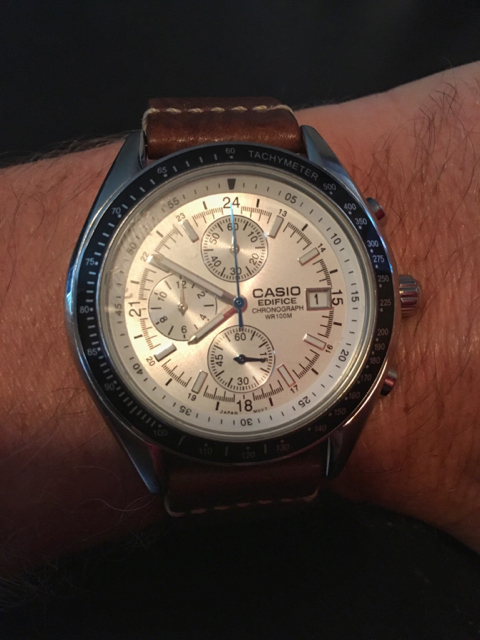 Today's choice: Casio Edifice on a brown leather strap. @bishopcraiga I like the watch and the hand-me-down aspect. Keep that thing alive. 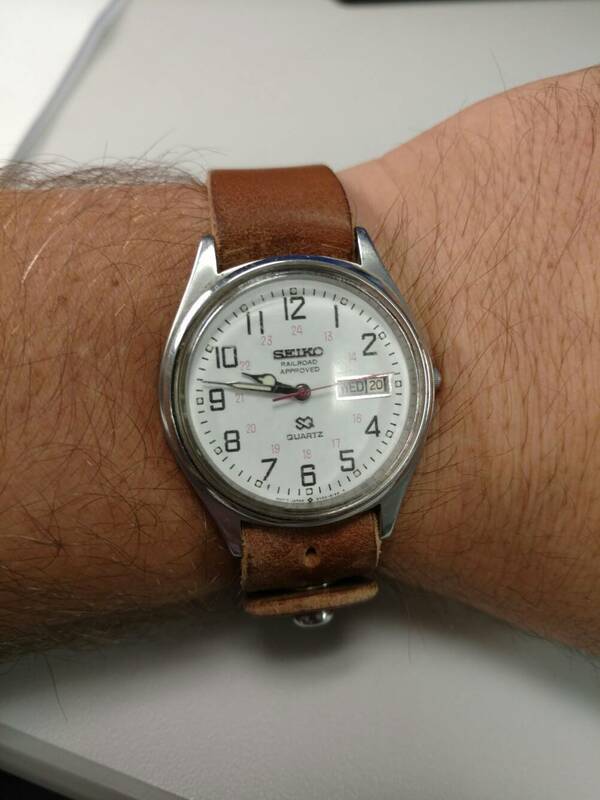 Do you know approximately what year this watch was made? I've never seen any sort of marking like the "Railroad Approved" text on the dial. Not sure exactly what it is about that, but I love it. Sort of charming. Congrats on a great little piece of family history. The vintage is way cooler! Nice. I need the get the battery replaced in mine so that I can start wearing it again. Based on what I know about it and the serial number, it looks like it was made in August of 1980. For reference it's a 5y23-8049. Thanks! Purchased the watch from a user on the forums here. I'm quite happy with it! I am flying to the Dominican Republic tomorrow and only taking 3 watches so my rotation will be small for the next week but I will try and get a couple up here. I will post the rotation tonight though.